"Calé creates an intimate relationship with their audience, connecting almost immediately with deep, guarded places in the soul. The origin of their Latin-fusion music, shaped and re-shaped through generations, is from Spanish-Arabic, North African and Romany regions. 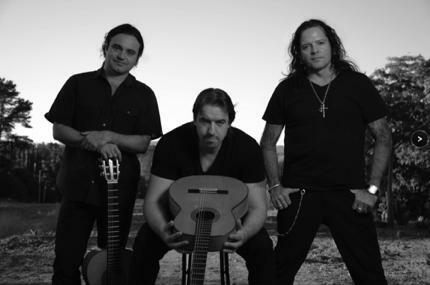 Their first Cd is “Vente Conmigo” which captures a broad range of human experience, from the brazen, raw emotion of Quiero to the seductive reverie of Dos Años Atras. Their second Cd, called “Noches de Mala Vida”, is a mixture of fresh Latin and Flamenco rhythms with pop/rock/funk and electronic elements creating a wide musical menu, ranging from “chill-out” instrumental songs to contagiously dancing rumba songs like “Noches de Mala Vida” or traditional tangos/flamencos and Latin/Pop songs like “Mujer Cruel”. Calé fuses in its components a musical recipe for all music fans from traditional to modern crowds." 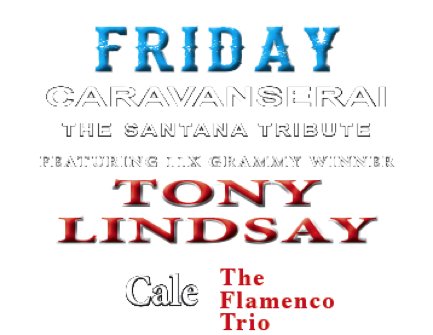 Tony Lindsay, who was born in Kingston, New York, now calls San Francisco his home, is back in the SANTANA lineup. 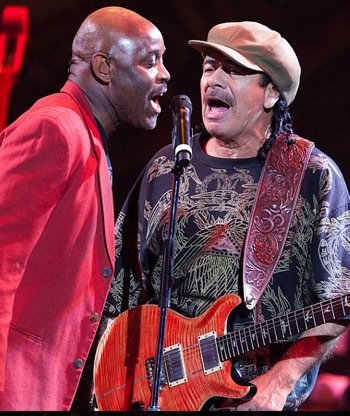 He first toured with SANTANA in 1991 and can be heard on the 1992 release, Milagro. As an individual, Tony has recorded or performed with several artists, including Tevin Campbell, O'Jays, Al Jarreau, Steve Winwood, Johnny Gill, Teddy Pendergrass, Aretha Franklin, and Lou Rawls. His full-bodied tenor voice and unique style have paved the way for his participation in a variety of musical projects, including a 1993 duet performance with Angela Bofill and the New York Philharmonic Orchestra at Avery Fischer Hall in NY. Metalachi is the World’s First and Only Heavy Metal Mariachi Band. Born in Juarez, Mexico and raised in East Los Angeles, CA, Metalachi is now based out of Hollywood, CA and consists of 4 brothers and 1 sister (not all have the same parentage). 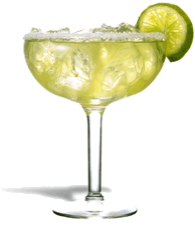 We are at a loss for words but what comes to mind are : FUN! OUTRAGEIOUS! ENTERTAINING! You won't want to miss it Saturday night! 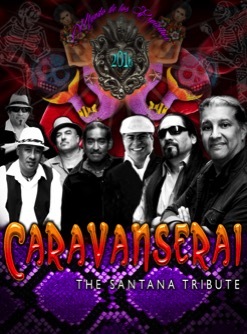 Leo Herrera and the artists from Caravanserai are among the few that can hold up their end of the bargain when it comes to the music of Santana. Leo's commitment to excellence in replicating the sound and style is second to none. This year the guys will be bringing Tony Lindsay from the Bay Area while Carlos' is on break from touring. A truely unique opportunity for us in Mammoth. Much thanks to Leo and Tony for visiting our little slice of paradise!